This throwback Thursday opens with a cured Barbie getting all lovey-dovey with Julia in the woods before heading back into town to maintain his cover as a member of the kinship. He knows he’s going to be a father (and Julia explains about the whole “birth of the new queen” thing), but as far as he’s concerned he’s got nine months to get used to the idea. Not the case! Tucked away in a barn, shrouded by white curtains, Eva is busy becoming the envy of every woman who ever endured a lengthy, difficult pregnancy. One by one, the fertile young women of Chester’s Mill, all dressed in virginal white, are led into the barn to lay hands on Eva’s belly and have their life force drained. In a matter of hours Eva is boasting an impressive baby bump at the cost of only a dozen or so lives. Back at the funeral home, you may recall, the Resistance is under attack by forces of the Kinship. 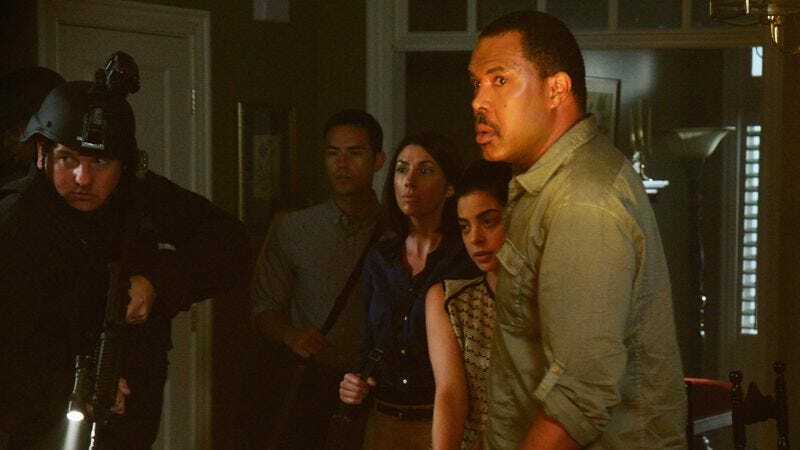 Out of nowhere comes Hektor Martin (Special Guest Star Eriq La Salle), the secret head of Aktaion, along with a handful of goons and Lily (Gia Mantegna), Hunter’s hacker protege. A few rounds of automatic weapon fire later, the front porch is strewn with the bodies of carefully posed extras and the Resistance is off to their new safe house, the town nursery. Hektor’s main purpose in the episode is as a delivery system for even more dome mythology: It seems that his partner was the first to touch a fully assembled egg, an event that turned him into a veiny, violent psychopath babbling about the pink stars and the war that’s coming when the new queen is born and other teases for a potential fourth season after the dome comes down. By episode’s end, Julia is back to wondering if she can trust Barbie as she happens to spy him smooching with the mother of his unborn daughter. Junior knows he can’t trust Barbie, as there’s no sign of Julia’s buried body where Barbie said it would be. Christine is nowhere to be seen, perhaps because the episode budget could only accommodate one guest star from a turn-of-the-millennium hit TV show. It’s all very silly, but I’d be lying if I didn’t admit to getting a little nostalgic charge from this return to vintage Dome. We’re now up to “four weeks ago” in the opening saga sell. It’s been quite an eventful month, hasn’t it? 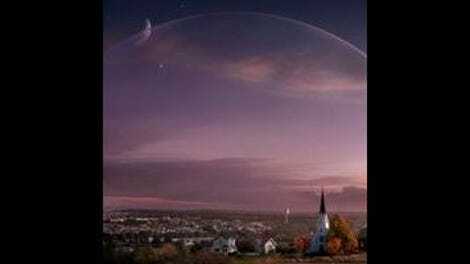 While were having fun with math, it was mentioned twice tonight that there are 2000 people left under the dome, which…what? By the end of last season we appeared to be down to a few dozen, and given the body count in recent weeks (including tonight’s double bloodbath), we should be into negative numbers by now. Hektor Martin’s partner (who is now doing the shimmery alien thing inside a tube) is also Lily’s father. This may be important for some reason. “More dome-tacular than ever!” says Yahoo.com. Yes, I suppose it is.